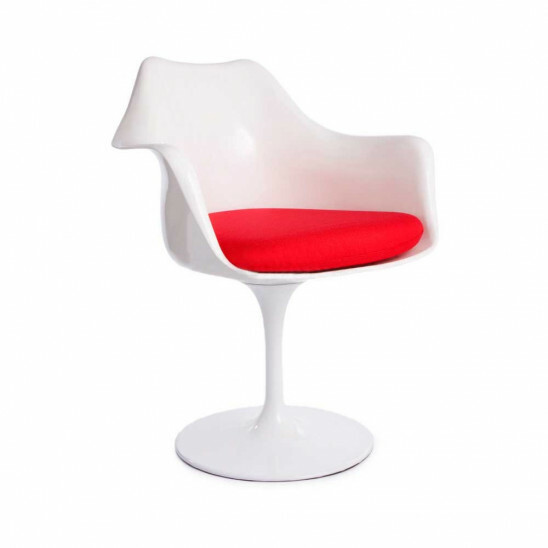 This Saarinen inspired tulip chair comes with the addition of arm rests. Another great 1950's design reimagined to become a part of contemporary interior. Made of polypropylene for a durable and glossy finish; the circular base has a rotating mechanism. 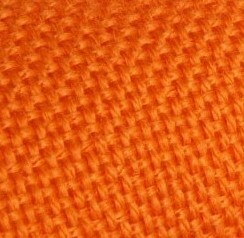 The bright splash of colour provided by the soft, woolen cushion will liven up the dullest space. This is a chic and beautiful chair. Ideal for : Living room, dining room, office. Other features : Also available with or without armrests.